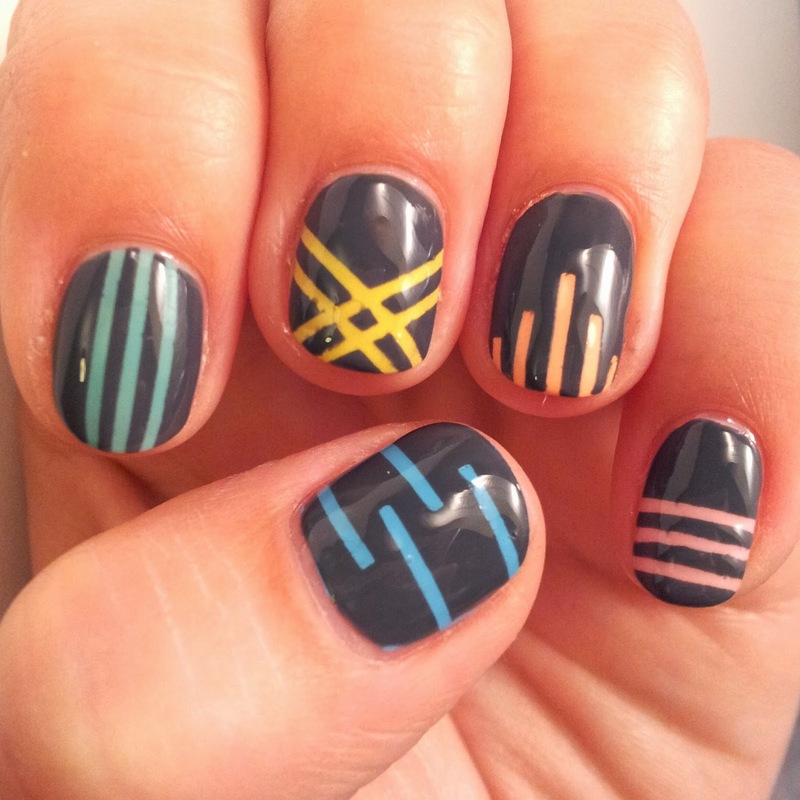 Ok, so it's another striping tape mani, I promise I will get over this soon! 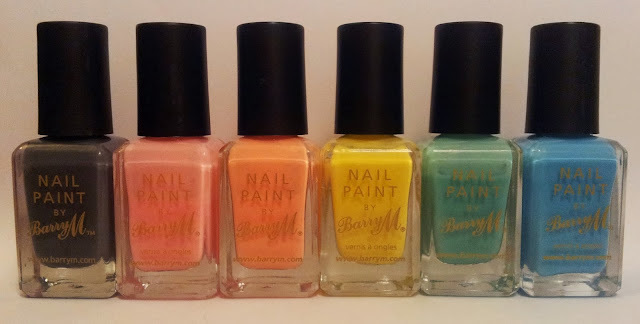 This time I decided to exercise a few of my favourite pastels from Barry M. I love using pastels as highlights on manis, and can never choose which one so often end up using five different colours, as you saw on our Easy Aztec Tutorial. Step One - After applying base coat, paint one or two coats of your accent colour. Let it dry fully. Step Two - Cut strips of striping tape and apply to each nail. It's best to do all the cutting and sticking before you move onto step three to reduce the risk of smudging! I tried a different design on each finger to mix it up a bit. I like the results but I can't help but think they resemble sportswear a little! It's the mix of pastels and grey, and of course those recognisable three stripes on the index finger - might avoid that design in the future!